The mission of the Department of Parks and Recreation is to preserve our parks and open spaces and provide essential recreational programs and cultural services in a safe, professional and friendly manner. 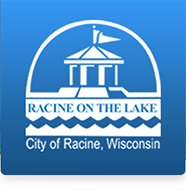 The Racine Parks, Recreation, and Cultural Services Department has parks totaling over 1,100 plus acres. Five community centers and many other facilities are available providing a wide variety of recreational opportunities. Payment Information The Parks, Recreation and Cultural Services Department accepts Master Card and Visa Card, cash and checks for all registrations, and programs payments. WPRA Ticket's may only be purchased with Master Card and Visa Card or a cash payment. Activities & Sports Hotline Dial 637-7678 for softball, volleyball and basketball cancellations. This is a twenty-four hour service with recorded information. As seniors, you owe it to yourself to check out the benefits and leisure time activities at a community center. Many seniors just like you have found a place to stay involved in activities they enjoy and can share with new friends and acquaintances. Relax, enjoy a free cup of coffee, shoot a game of pool, play some cards and develop new friendships! A wide variety of programs are offered exclusively for people 50 years of age and older including: monthly bingo, quilting, Zumba, Pickle Ball, knitting, crocheting, ballroom dancing, Pinochle, ceramics, Senior Nutrition Program, card club, wood carvers, dominoes, and much more! © City of Racine - Wisconsin - USA.